Everybody likes waterfalls! Hikers make a destination of them, tourists flock to them with camera phones ready, and daredevils go over them in barrels or rafts. And photographers, we always try to get a unique view of that famous iconic location that’s been photographed millions of times before, which of course is almost impossible to do. But we try anyway. 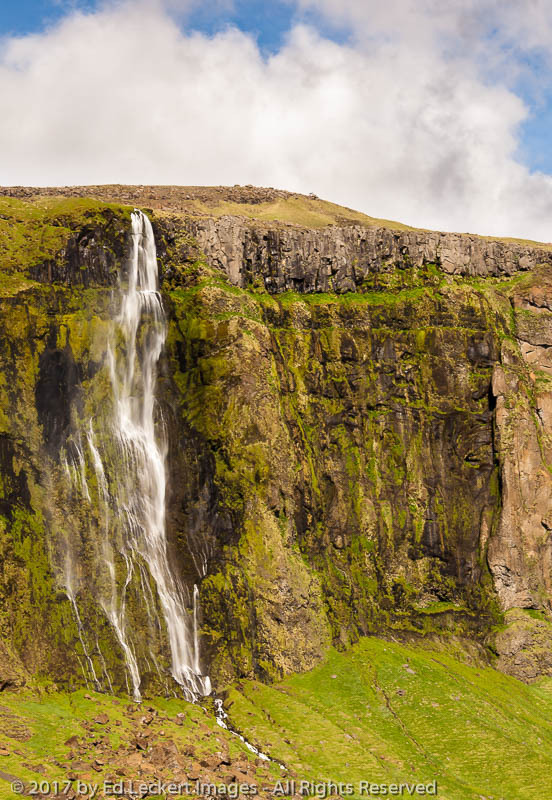 We’re pretty lucky on the west coast, and particularly up here in the Pacific Northwest when it comes to waterfalls, because we have a lot of what waterfalls need – lots of precipitation, and lots of rough terrain. Water, it seems, is always looking for ways to get lower, and it tends to find some stunning locations to do just that. 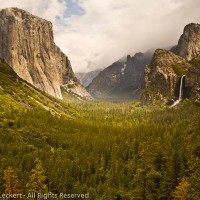 Yosemite Valley in Yosemite National Park, surrounded by walls reaching up to a mile in height, is a perfect example. The snow pack in the surrounding Sierra Nevada mountains keeps the many iconic waterfalls well fed, especially in the Spring. 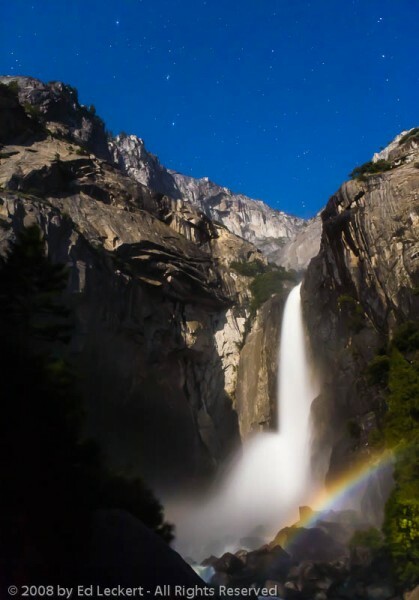 One of the views that most people don’t see in this heavily visited park is the Yosemite Fall “Moonbow” that I talked about in an earlier post. 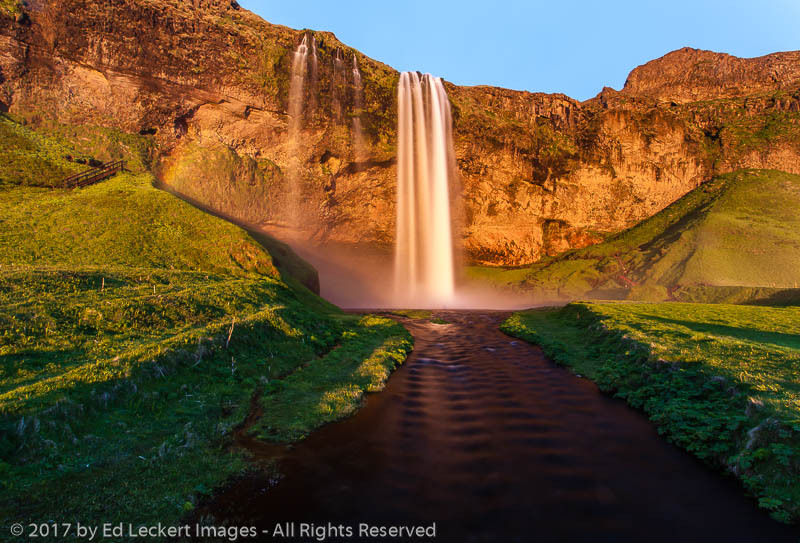 A “moonbow” occurs when the moonlight catches the mist from the waterfall just right, creating a rainbow in the middle of the night. Conditions have to be just right for the components that create this beautiful sight to come together. Another technique I used to create a different view of a famous location was a long exposure combined with a vertical sweep of the camera in an image of a tree with Bridalveil Fall, one of the most prominent waterfalls in the valley. 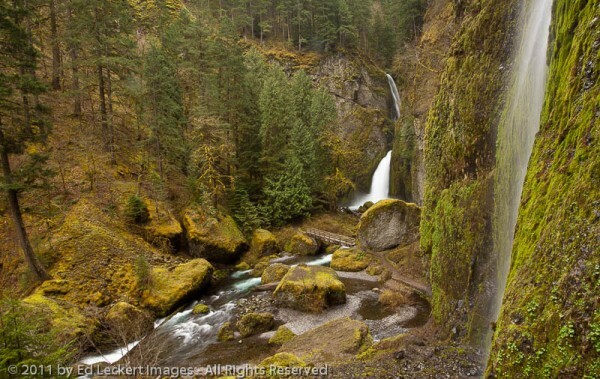 Most don’t even notice the waterfall in this image of a tree below the fall, but there it is. Head further north and the weather gets wetter. The Columbia River Gorge National Scenic Area is home to numerous waterfalls on the Oregon side of the river, each with its own unique characteristics. One of my favorites is Wahclella Falls, with its multiple segments and accompanying cascade of water flowing off the wall to its right. 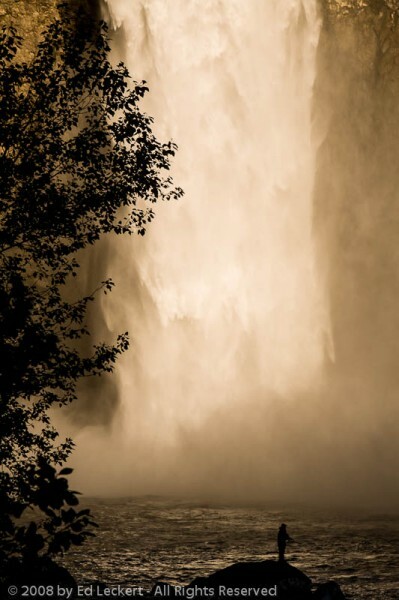 And anyone who lives in Seattle has likely visited the local icon, Snoqualmie Falls. Heck, when I lived in New Orleans as a child I visited Snoqualmie Falls. I know this because it’s listed in my mother’s scrapbook of our trip to Seattle when I was four. Well, that’s just the tip of the iceberg, as they say. There are so many beautiful places out here to photograph beautiful waterfalls and I’ve only scratched the surface. Sounds like I’d better get busy! Those are really great. 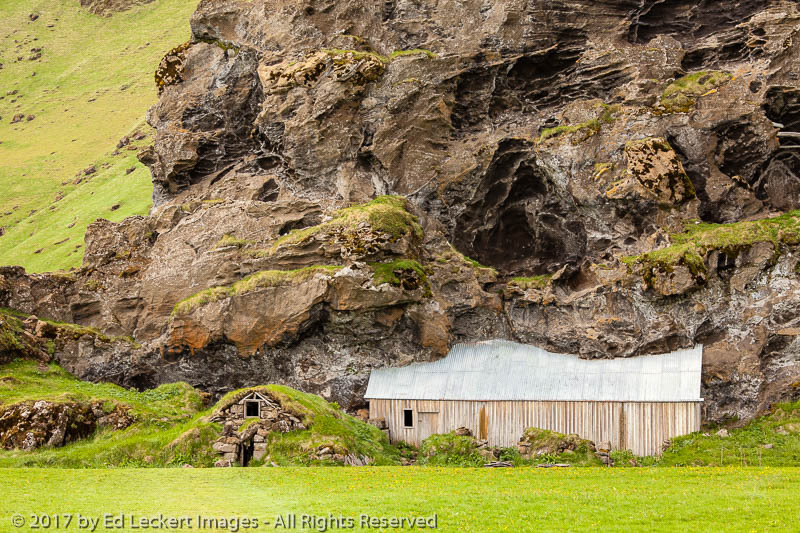 I can just imagine the surrounding area and the sense of peace that must be in those locations. Thanks, Jeff. And you just gave me an idea for a future blog post! 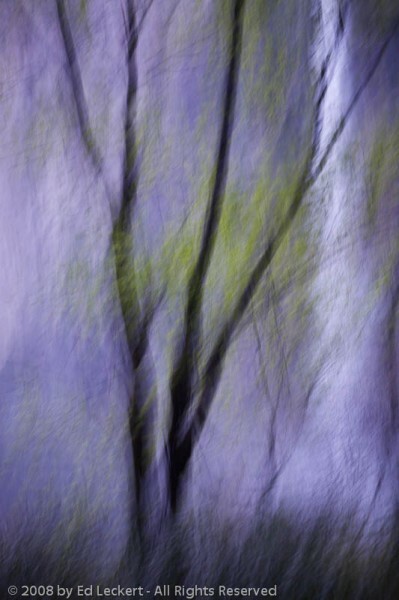 I believe your tree photo would make Claude Monet jealous! I dunno. It probably takes a lot to make Claude jealous! But thanks! Lovely images Ed. We met at Steelhead Cafe in the Pike Place Market about a week ago. It was great talking with you. Looking forward to seeing more of your posts! Thanks, Carol! It was certainly nice meeting you, and thanks for subscribing!